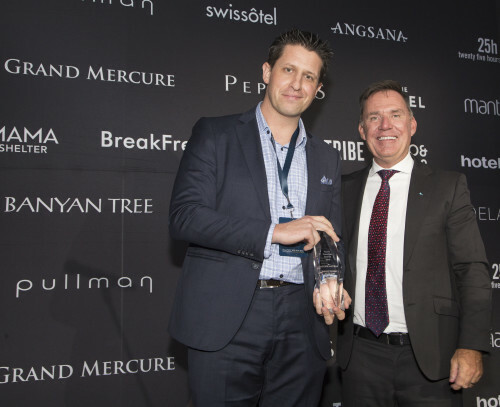 AccorHotels has announced all 12 winners of its Pacific Franchise Awards for 2018. The General Manager of the Year award went to Jesse Kornoff from Mount Lofty House, MGallery by Sofitel, recognising his work at the boutique hotel over the past 12 months. The hotel also picked up two other awards at the event, with Mount Lofty House’s Hardy’s Verandah also winning Restaurant of the Year (joint winners with Bluestone Bar & Kitchen, The Sebel Launceston), and the hotel’s David Tonkin winning the Guest Relations Manager award. Mount Lofty House was the recipient of three awards at the 2018 Pacific Franchise Hotels Awards. In other major awards, Novotel Sydney took home the Hotel of the Year award, Yayai (Jig) Petchsong of The Sebel Melbourne Docklands won the Rising Star award, and Novotel Wollongong Northbeach won the Service to the Community award. The Service to the Industry was presented for the first time, recognising an individual or team who has shown outstanding leadership and vision, contributing to the success of the business and advancing the tourism industry in their respective region. Ray Stone of Voyages Ayers Rock Resort was the recipient of the inaugural reward, being recognised for his 35 years of service and immeasurable contribution to Australia’s iconic tourism destination. “Encouragingly the tourism sector is seeing strong performance across the country and is helping to drive the ongoing market share growth of AccorHotels and above market results for our franchise network. Underpinning the franchise hotels’ success is their access to our powerful global distribution platforms and industry-recognised loyalty programmes – a powerful combination alongside our obsessive focus on the guest,” said Simon McGrath, chief operating officer, AccorHotels. 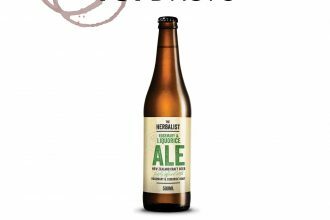 The Herbalist ales have been formulated by a herbalist, using the addition of herbs to impart subtle aroma, flavour and bitterness to the beers….